Neyzen’s luxury yacht charter vacations along the Turquoise Coasts of Greece and Turkey are tailor-made just for you and present an imaginative and liberating travel experience. From a family vacation, to a get-together for friends, or a corporate entertainment trip, Neyzen promises guests an elegant yacht, excellent crew, terrific food and a first-class personalized service wherever you choose to cruise. 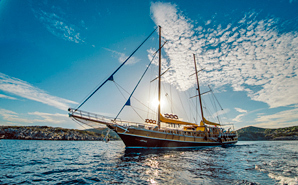 Our privately-owned fleet comprises 4 luxury Gulets, all works of master craftsmanship and built in the famous Bodrum shipyards. Each yacht has its own exceptional design and character and offers guests luxurious comfort, privacy and an experienced and dedicated crew. At Neyzen we give the discerning traveler the perfect combination of an extraordinary experience with the very best amenities. At Neyzen we value the opportunity a vacation gives to indulge in luxurious accommodation, food and great service. 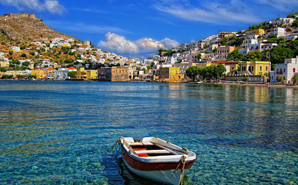 Equally we aim to give our guests meaningful and original travel experience in the Greek Islands & Turkey . Nezyen’s multi-national team are experts on the culture and land of Turkey, and almost everything travel related. With this broad experience, we make sure you get exactly what you want from your holiday. Our discerning guests are generally those seeking something unusual; they want luxury as well as the experience of exploring off the beaten track, gaining a unique insight into destinations. Beyond 5-star standards, we recognize that luxury also exists in true authenticity and global diversity. Our tailor made getaways celebrate the rarity and richness of special moments and encounters and the joy of spontaneity. Combining the luxury of our spacious wooden yachts sleeping up to 17 guests, with cruise itineraries designed to take in a selection of untouristic and ‘secret’ destinations, this is a boutique take on exploring the Greek Islands. No luggage or ferries, as you are already at home and enjoying sumptuous relaxation on board a fully crewed traditional Gulet yacht. Two quite distinct Blue Cruise charter options each offer the chance to experience the Aegean Turquoise Coast from a privileged perspective. Both our private yacht and cabin-only charters for singles, couples, families or groups guarantee the very height of luxury and a really exceptional experience on the stunning Greek Islands and Turkish Riviera. Discover thousands of remote coves and bays, coastlines steeped in mythology and rich ancient heritage, incredible landscapes and crystal clear waters on a route designed expressly for you and your fellow travelers. From the freedom and privacy of your yacht, do as much or as little as you like with a range of activities available to suit all interests. "You are worthy of your excellent reputation. We feel privileged to have sailed with you. May you always have the wind at your back and the warmth of the sun on your faces!" "What a fantastic week with a very special crew who looked after us really, really well. I don’t know why I waited 53 years to visit Turkey- a spectacular coastline and everything we dreamed of." "Knidos, Simi, quiet coves, cliff diving, spear fishing, snorkelling, sleeping to the boat’s gentle rocking, laughter and scuba diving, just begin to describe what we enjoyed…We never dreamed that our time with you would be so wonderful!" "The Neyzen company has extended the greatest courtesy, creativity, and genuine friendship we have ever encountered anywhere we have travelled in the world. Every day was an adventure and every meal a culinary surprise and delight." "To say this trip was epic is an understatement. As vegetarians we really appreciated your flexibility with fantastic food! Thanks Captain for the guided walks to the orchard, castle, ruins and more. We had a blast exploring Turkey and Greece and have a special place in our hearts for the Turkey you showed us!" "Excellent service in terms of local history, delightful food and attention to every need. Your professionalism, humour and attention to detail shows why you deserve the highest accolades. You have given us a lifetime memory!" 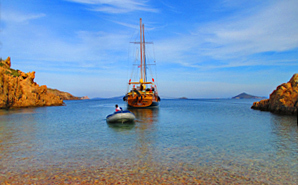 "Our first trip on the Aegean was extraordinary, thanks to you. The coastline you all showed us gave us a personal glimpse of what Homer wrote about. Thank you all for a memorable voyage." "Tamera - thank you for a fantastic vacation on the newly re-furbished Flas VII. The boat is truly one of a kind - the cabins (and the bathrooms) are better than a five star hotel. Your crew, captained by Levent, was attentive, professional and extremely friendly. The meals on the boat were better than any of the restaurants we have tried in Turkey. This is our third trip on your boats and we will come back again." "Hi, The gulet was excellent, completely relaxing with very congenial fellow passengers and the best food. Not sure how I maintained such a ravenous appetite while doing little more than breathing but every meal was a miracle-the more so for the size of the galley. The service was ever attentive and genuinely friendly. It was great to see the beautiful locales visited on the Nikola." "We can't stop talking about our trip of a lifetime ... in early June. The entire trip was flawless. The crew on Flas VII were unbelievably accommodating, friendly, and professional. They never stopped smiling and attended to our every need. You should be very proud of them. Thank you for arranging excellent accommodations everywhere we went in Turkey. You showcase Turkey very well. Thank you very much. P.S. The Master Suite was very special."